connect . . . with Love. Rhyonna sits on her rock in the streaming, thinking about where she came from and ‘what going public means’. Rhyonna’s Fright is on CreateSpace.com, and on Amazon.com with her writer’s Amazon Author Page. She is on Smashword.com; Barnes & Noble, Kobo Books, Apple Bookstore has her book. Parts of her story are told on Wattpad.com. She loves her public showing. Now she is on Goodreads.com where her writer has an Author Page. Rhyonna likes what her writer says about her story and where and how they met. Oh yes, in her writer’s e-newsletter, Connect . . . for valentine’s day March 2015, her writer thanked viewers, listeners, and readers wishing them a Merry Love Day. There are more spots for her story with a long to-do list! Rhyonna is so happy she flutters among the butterflies, who are drifting here and there enjoying the company of others streaming in the warm day. Join Bobbie’s e-newsletter, now called EVENTING… and receive FREE storytelling charts to make plots move and characters animated for the best possible story written or told. Posted on March 2, 2015 December 15, 2016 Categories adventure, Faery, storytellingTags adventure, book, fantasy, storytellingLeave a comment on WHERE IS RHYONNA! Rhyonna is streaming around the ethers! Okay, got Rhyonna’s Fright up on Smashword.com, launched on 11/20/2014 not the best edits but good. Did not get her voice in italic for the whole document, missed the middle. DUMBLES! Stumbles! Got the Gumroad published PDF on December 1, 2014 uploaded PDF with cover and soon the epub and mobi upload. (Need to find out how if cover included.) The date when Rhyonna came out on CreateSpace.com was December 31, 2014 and Amazon as POD January 1, 2015 and soon for Kindle, need to find out how, should be easy. Did MailChimp Connecting . . . email for launched date on Smashwords.com around Thanksgiving with the announcements of events for friends books, art and storytelling. Then the next MailChimp Connecting . . . was emailed for New Year 2015, entitled My Hopes for YOU! Posted on February 5, 2015 December 28, 2015 Categories stoytellingTags adventure, faeries, fantasy, Featured, storybook, storytellingLeave a comment on Rhyonna is streaming around the ethers! While Rhyonna flies and streams on twitter, Facebook, google+, Goodreads, Wattpad.com having fun, then landing in this e-book store or that e-book store; her now publicist, once writer, once publisher, is busily signing Rhyonna up for her many events. Leave a comment about Rhyonna’s story. Or, ask Rhyonna a question about flying she is a flying expert and loves to give advice. Posted on February 2, 2015 Categories Faery, Fantasy, storytellingTags action, adventure, faeries, fantasy, storybookLeave a comment on Rhyonna’s faery tale! 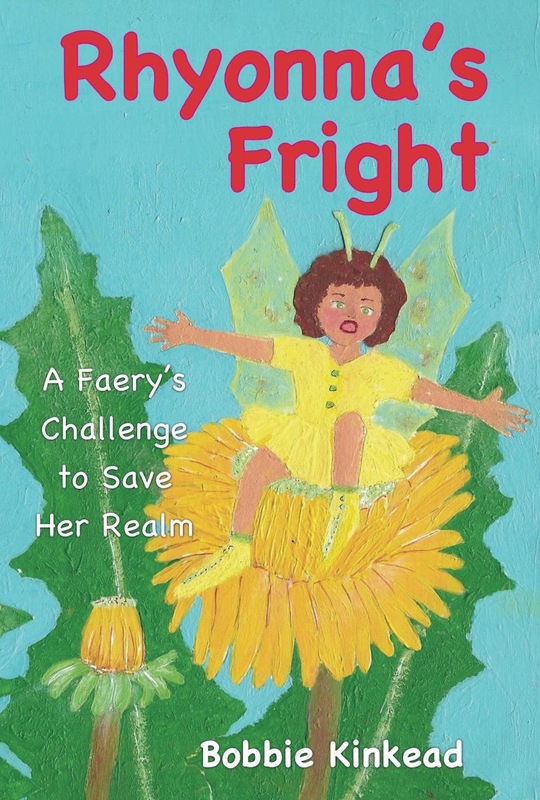 CreateSpace ebookstore has Rhyonna’s Fright as an POD, print on demand, published on New Years Day 2014. This book has mistakes, let’s say it’s a proof, to be corrected end of October 2015. Spelling is my curse, which I work on daily wording stories. Rhyonna is Here, well all most! Here is the cover upload to CreateSpace.com. The POD is out on CreateSpace and Amazon, next the Kindle. Posted on December 10, 2014 Categories adventure, family reading, Fantasy, storybook, storytellingTags adventure, faeries, family reading, fantasy, storybookLeave a comment on Rhyonna is Here, well all most!